Units of the Syrian Arab Army eliminated a number of Jabhat al-Nusra terrorists in the southeastern countryside of Hama. 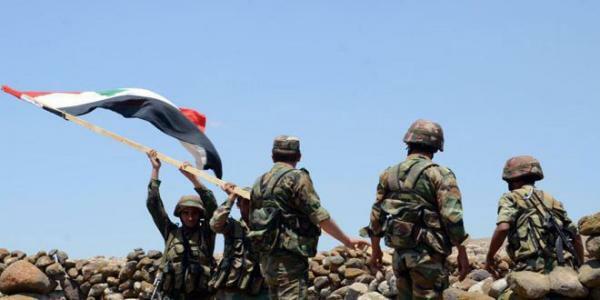 SANA’s reporter in Hama said that army units, in cooperation with allied forces, achieved new advance in chasing terrorists in the area surrounding Jabal al-Ken and eliminated their last gatherings in Wadi al-Hibia, Arad Qabr al-Sheikha, Dahret Jbabi, Dahret al-Jasia, Arad al-Jasia and Wadi al-Qurbat in the southeastern countryside of the province. A number of terrorists were killed in the military operation, including Rakan Turki al-Rida and Abdul al-Jalil Marwan, in addition to destroying their equipment.